In a recent conversation with a friend, we ended up talking about play. She mentioned that she was going to go home and play—by reading a work-related book. Now, I really do enjoy my work, but to me, reading work-related books is work. It is not play, even when I find the books fascinating. Stuart Brown and Christopher Vaughn say play “shapes the brain, opens the imagination, and invigorates the soul.” In their book Play, they describe play as (among other things) something done for its own sake, because it brings joy. Play is a cure for boredom. Play is fun. I wonder if something done in the service of our jobs can ever be play. Perhaps for my friend, it is. Certainly her enthusiasm at heading to a professional conference rivals other friends’ approach to Disney World! And I do enjoy the playful and innovative aspects of my work. Still, for me, some of play’s greatest joys happen in a place that is mentally miles from my usual world of “shoulds” and “to-dos.” And that place does invigorate my soul. Recently, another friend and I built a cat castle. Really. 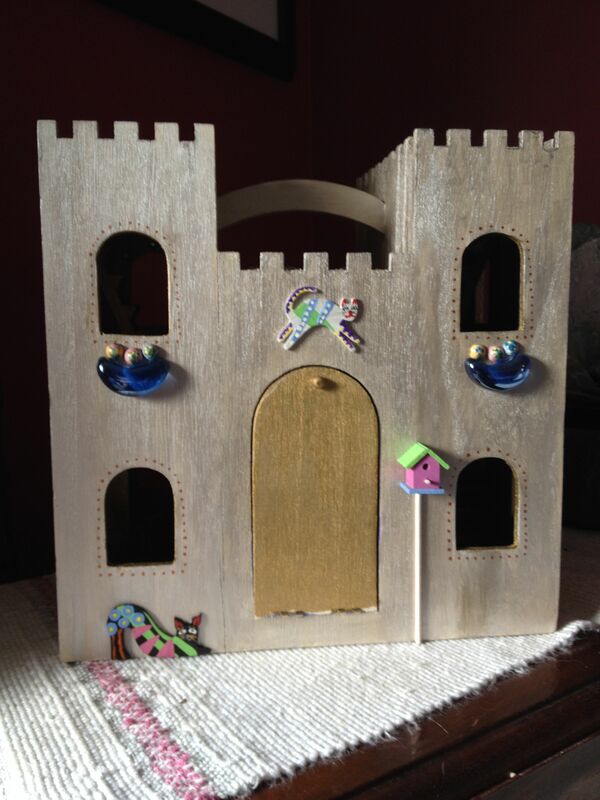 It started as a plain wooden castle I thought might be fun for some of my favorite children. 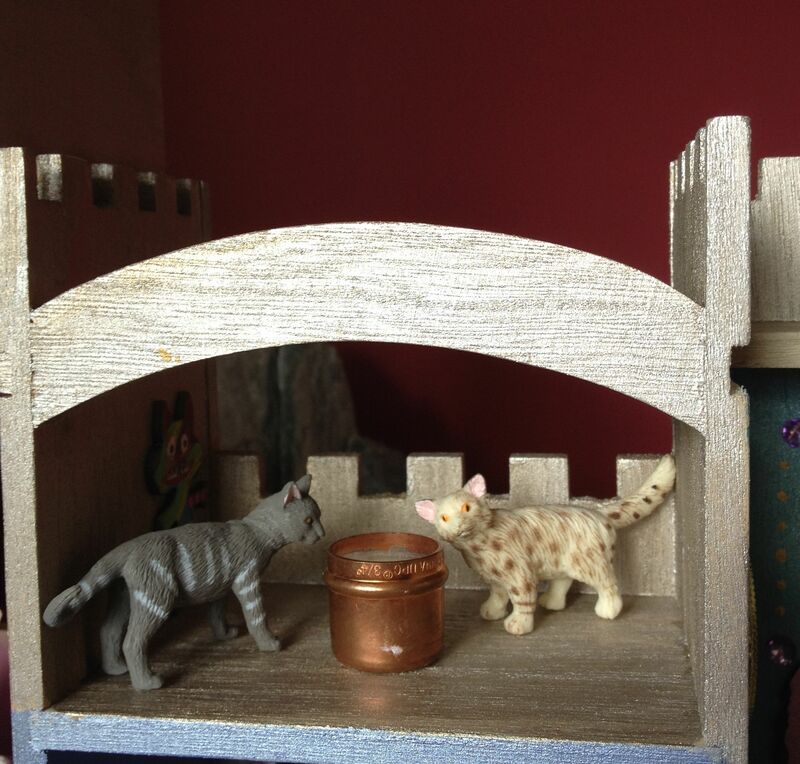 But as my friend and I talked and laughed, and I painted, somehow our joint love of cats and the joy of the moment brought the idea of a castle just for cats. Eventually the castle was decorated with multicolor rooms and bejeweled windows (it is a castle, after all!). And then it needed furniture. What would cats have in a castle? 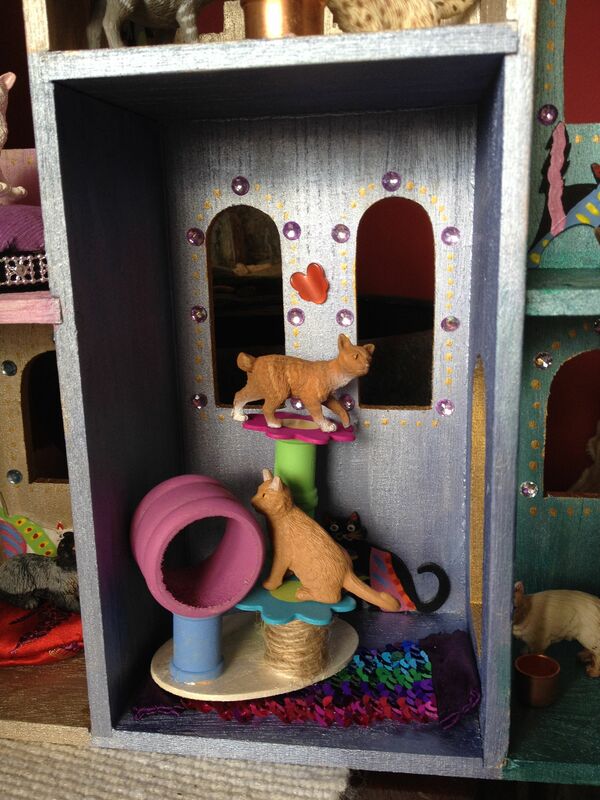 Velour cat beds made from peanut butter lids, no doubt, shiny bowls made from plumbing pieces, and a hand-crafted miniature cat tree. It was all so silly. We laughed and laughed. You’d be amazed how much joy I found, discovering that a wooden napkin ring could be transformed into the basis of a cat’s climbing tree. And each night we worked on the castle, we ended with lighter hearts. My friend, who was going through some exceptionally hard times, found a place to laugh. Our souls were invigorated. I’ve had the same experience playing superheroes with children, inventing fantastic islands for new stories, looking for shells, building water-powered contraptions, or making music with just about anything. I can find excitement in cloud watching. Sometimes I feel embarrassed to share these moments of crazed delight with my sober and scholarly colleagues. But the truth is, the part of me that plays is the happiest part, and the part that allows me to bring imagination and energy to the work I do. I think about this as I consider the important role play can have in schools. Playful learning can be some of the best, and it is important that we explore how to expand that. But as we do, let’s not lose track of the fact that the guided play that facilitates content learning is related—but not identical—to the free form play of childish exuberance—no matter what our age. And that’s the kind that feeds our souls. So as those of us in the northern hemisphere look toward summer days and (even in Michigan!) sunshine, let’s be sure to give ourselves and our young people permission to just play–without rules, expectations, or directions. 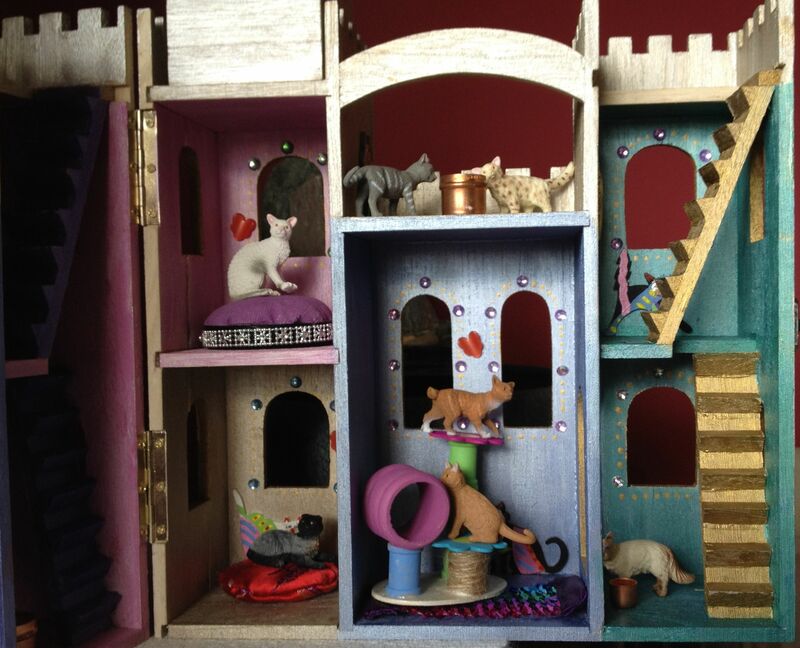 Perhaps you will even make a cat castle. I’m told by my castle’s new young owners that cats in the lookout towers are quite adept at fending off invading scorpions.